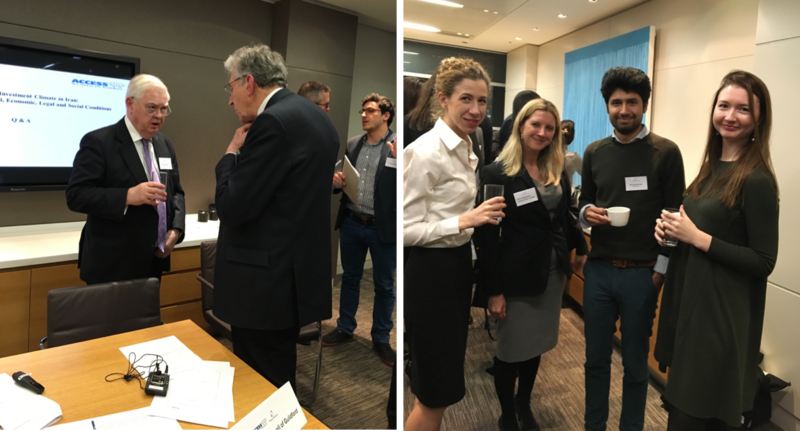 On Monday 6 February 2017, as part of its energy talk series, Access for Women in Energy organised an event on assessing the investment climate in Iran, looking at the political, economic, legal and social conditions that will shape any investment decision especially in the energy sector. Pinsent Masons, a full service international law firm with offices across the UK, Europe, the Middle East and Asia, hosted the meeting at their London office. The event was also supported by Pathfinder Trade and Invest. The participation was at full capacity with around 80 participants, clearly reflecting the strong interest in the subject. Participants came from various circles: UK Parliament, banks, leading consultancy firms, embassies, international oil companies, media, independent investors, think tanks and academia. The event concluded with a networking reception.